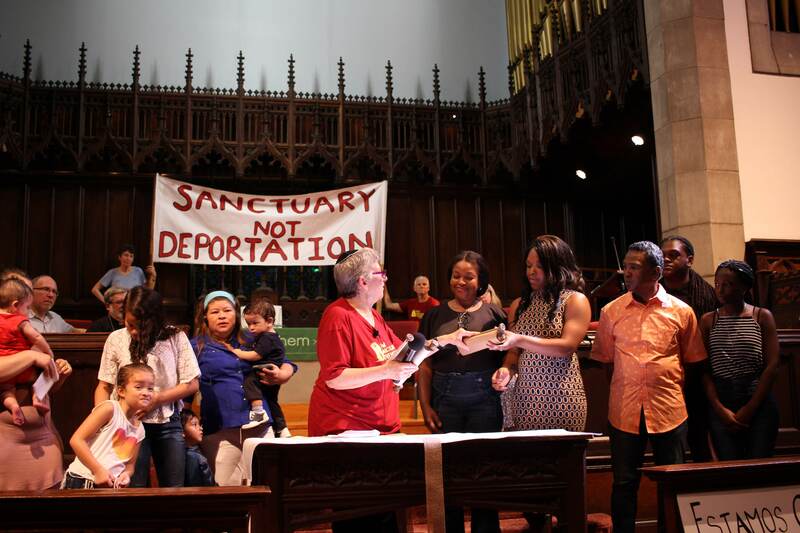 After Mayor Kenney yet again re-affirmed Philadelphia’s status as a “Sanctuary City” – that all police and jails will not cooperate with ICE to deport community members out of our city – the Philadelphia Family Unity Network (PFUN) coalition delivered him our thank you in City Hall! Latino, Cambodian, and Indonesian immigrants delivered him a card thanking him for his courage to stand strong against President Obama’s mass deportations as well as Republican attacks in Pennsylvania. Our leader Estela also gave him a sombrero!